Wave: a wearable MIDI controller that lets you control sounds and send commands with your hand. 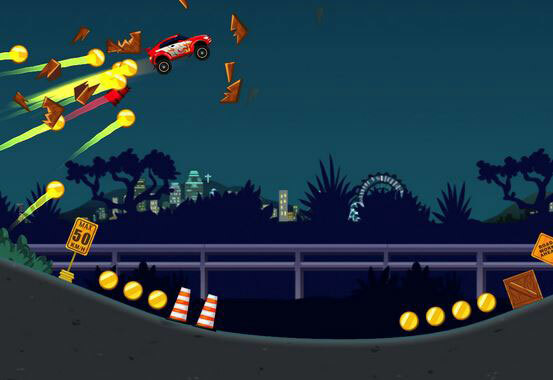 You get buttons to send play, stop, or record buttons. 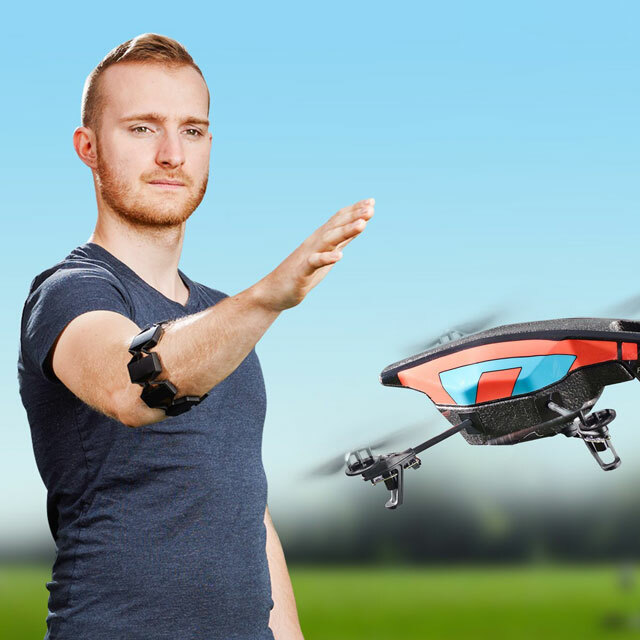 Myo Armband: a gesture control armband that lets you control robots, drones, music, and everything in between with a motion of your arm. It is ready for developers with APIs and SDK for automation, robotics, and VR. RUAWALK: a walking tempo controller for your music. It helps you use the right music to set your walking pace. Comes with 7 walking programs to help you get fit. bassAware Drop: uses vibrations to help you feel the beat of your music. It has a tactile transducer on your upper back to create vibration. 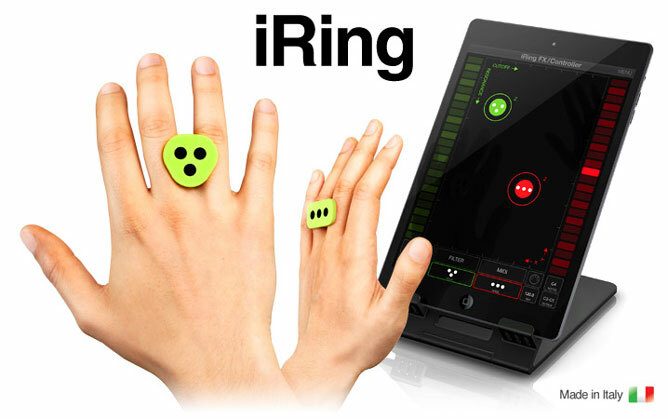 iRing Motion Controller: lets you use hand gestures to control parameters of effects. The app uses the front-facing camera on your phone to recognize the exact position of the ring. BeatBringer: a speaker backpack with Bluetooth built-in. It features an impact resistant shell, powerful amplifier, 15 hours of battery life, heavy bass, and a convenient control panel. It produces up to 110dB sound. ENDURANCE ELITE Hawk: a wearable speaker system with Bluetooth. It has LED indicator and reflectors and audio player with easy controls. Have you found cooler wearable music controllers? Please share them here.